In educational establishments, digital media files are seldom held in a central location. The primary purpose of MediaFiler is centralising files. The next step is controlling access rights, use, monitoring and integration with existing systems. The structure and features for an image library for education are based on the needs and specific requirements of educational institutions. 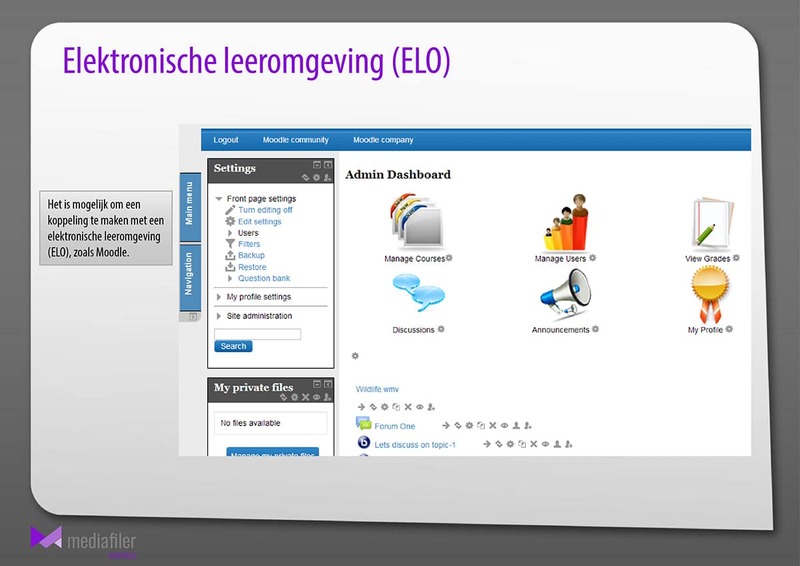 For example, the possibility to integrate the Moodle virtual learning environment plugin. 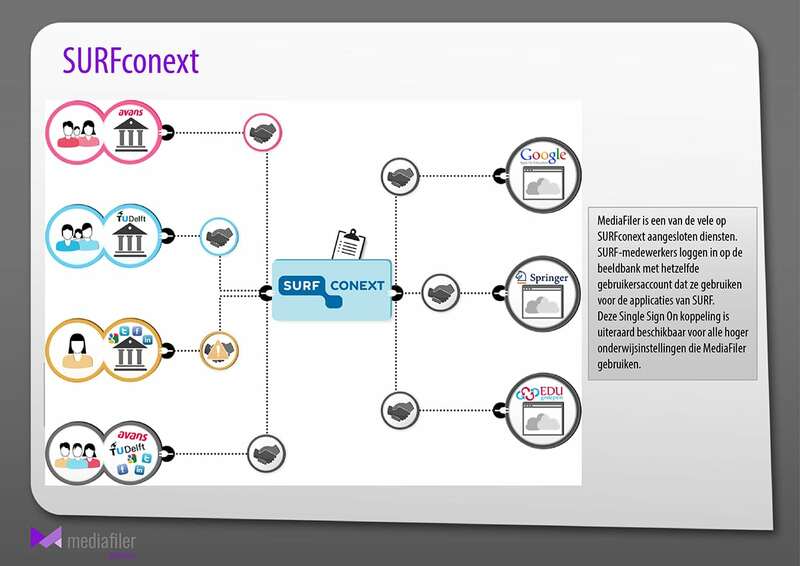 The system also offers the opportunity for a SURFconext link. Taxonomy specific to the educational sector is integrated into the system. 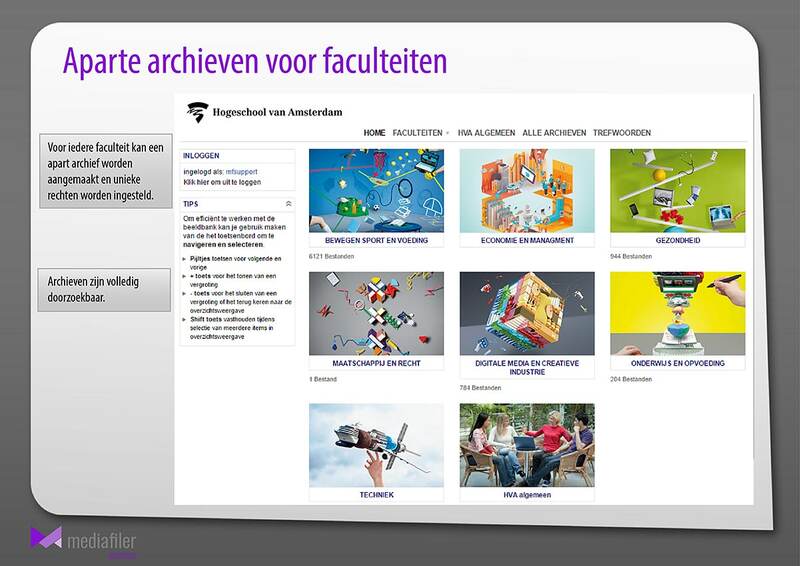 We work closely with, national and international universities to make our image library for education more effective. Create separate archives for each faculty or department with unique access rights. Simply use one login. MediaFiler can be used with Single Sign On or Active Directory.